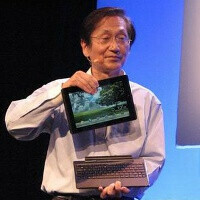 Asus Eee Pad Transformer delayed in the UK, to hamper its US launch? A press release by Asus indicates that the Taiwanese manufacturer has found great success with one of its tablets, as it says "initial demand for the Eee Pad Transformer has been far beyond our expectations." This has its downside, however, as the first batches of the tab which were shipped in Britain are already sold out, and there would be a delay before "a significant quantity" of the tab and its dock are available to these British chaps who are quite hungry to taste the Asus Eee Pad Transformer, but didn't manage to get one while it was still in stock. In addition, Asus also mentions that the Transformer will also be going through some additional testing procedures now, which will further delay the next shipments, expected to arrive in late April or early May. This postponement seems to be bad news for US customers as well, as Asus informs that the UK is its highest-priority market when it comes to the Eee Pad Transformer, so it might take even longer for the tablet to hit US shores. The pricepoint is the biggest thing for me. It has the exact same specs as the xoom but for like 200+less.. and the optional keypad has a built in 2nd battery. As a computer geek, i trust Asus 100000x more than i trust motorola anyways. If/when I get a tablet this is definitely going to be the one. Asus makes awesome computers and the specs on this match the over-priced xoom which are quite impressive. I would wait a while to pick up the keyboard if I got it at all. Yes Asus has been one of the leaders in motherboard manufacturing since the 90's. I too trust them more than say Motorola. I have been saying this all the time, the Asus Eee Transformer is pound for pound the best tablet for the money. No other company can give the quality & specs for the price point that Asus will offer. I just want to pre-order it already so I don't have to wait if there is a delay! Asus badly needs to gear up properly and extend the docking station offer - so few people have managed to get the Transformer.